I grew up in the northeast corner of Iowa County, in the Wisconsin River valley in a small town called Arena. My grandmother cleaned houses, my dad was a mechanic turned landscaper, and my uncles worked road construction. I was surrounded by the grit and community that defines the Wisconsin work ethic; I was taught to work hard, work together, and get the job done. Now I am one of Wisconsin’s clean energy workers. I joined the RENEW Wisconsin staff a year ago with an untraditional background: an arts education, a theater and music career, and eight years of marketing for a general contractor in Chicago. I knew little about renewable energy, but I cared about the environment and wanted to help build a cleaner future for my children. 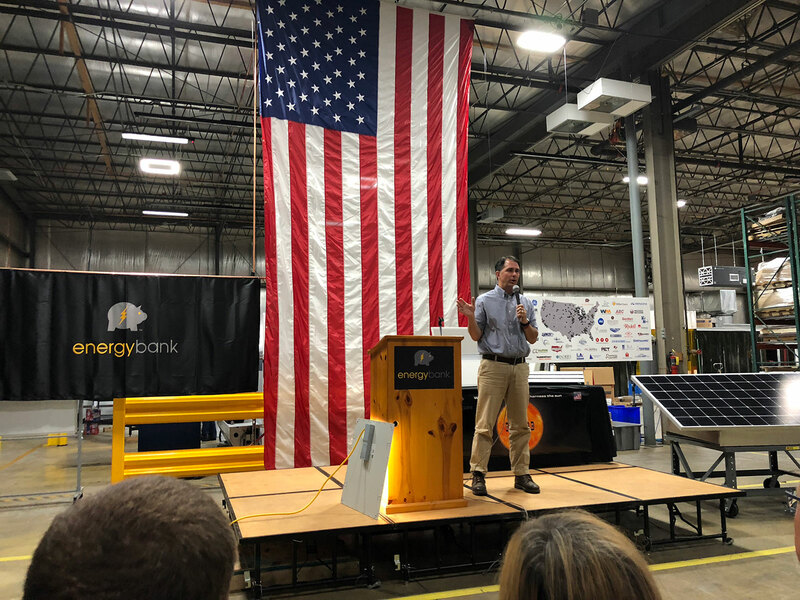 According to the Department of Energy’s 2017 US Energy and Jobs Report Wisconsin, over 67,000 people are already working in clean energy, and renewable energy job growth is six times faster than overall job growth in the state. Wisconsin has the opportunity to increase renewable energy substantially in the coming decades, and create tens of thousands of jobs along the way. After April’s story was published, I was able to attend the Quilt Block dedication and ribbon cutting in Darlington, WI. 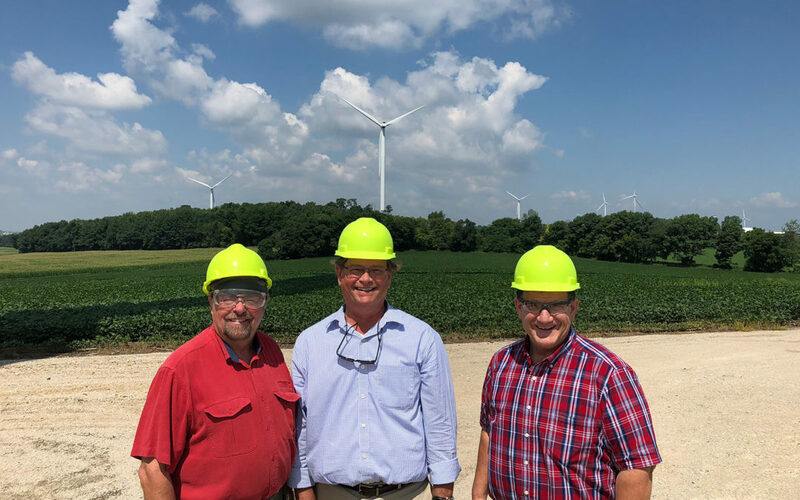 I witnessed firsthand a community (comprised of local landowners, businesses, educators, government officials, and EDP Renewables) working together to build a 98 MW wind farm, enough to power 25,000 Wisconsin homes with clean energy. This project created approximately 100 full-time jobs during construction and 12 permanent jobs. I recently attended an outdoor BBQ at the local office of the proposed Badger Hollow Solar Project in Monfort, WI. 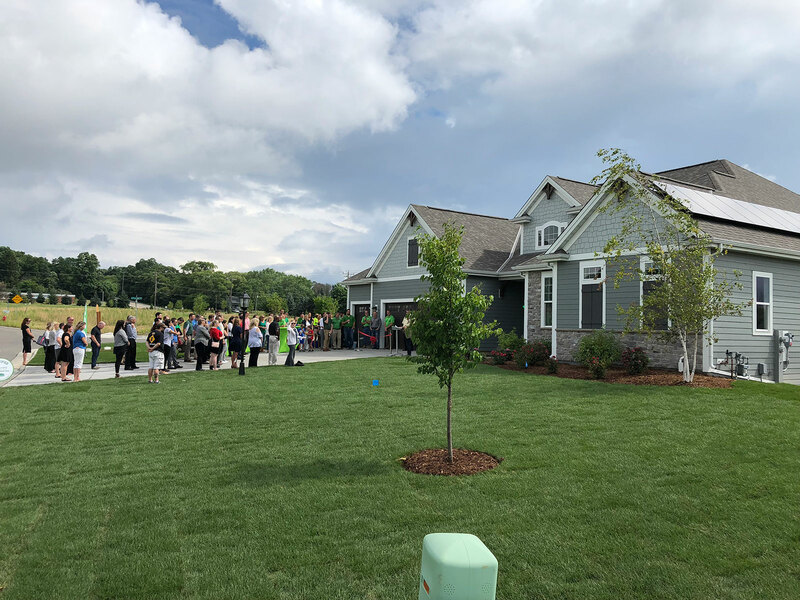 This was an opportunity for local landowners to get together and see which of their neighbors would be growing a solar crop. There, I met Tracy Fillback, the local liaison hired to address questions and concerns from the landowners and the community as this project progresses. She spent the last few years at home raising her children and now she’s starting a new chapter as part of of the Badger Hollow Solar project. 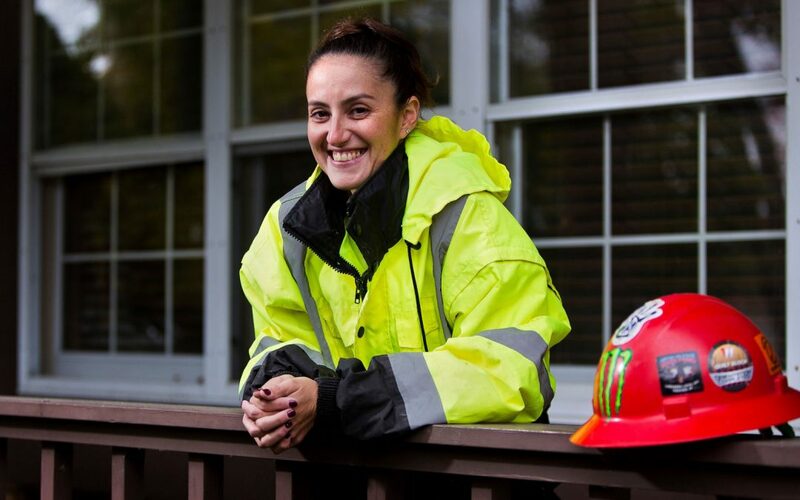 She is another example of renewable energy job opportunity in Wisconsin. Wind developers are scoping out new projects in rural parts of the state and in recent weeks two proposals for large scale solar farms have joined Badger Hollow Solar at the review stage of development. While we can’t predict the exact number of jobs this will mean for Wisconsin, these companies and workers will spend millions of dollars on locally-sourced gravel, concrete, construction supplies, food, lodging and other services. Increasing renewable energy is one of the best economic development moves Wisconsin could make, particularly for its rural communities. Wisconsin’s renewable energy workers are building a cleaner future for our children and they’re doing it the Wisconsin way; with tenacity, community, and hard work. Renewable energy can support our local economies and be as homegrown as the crops in our fields, if our communities can continue to embrace the possibilities. 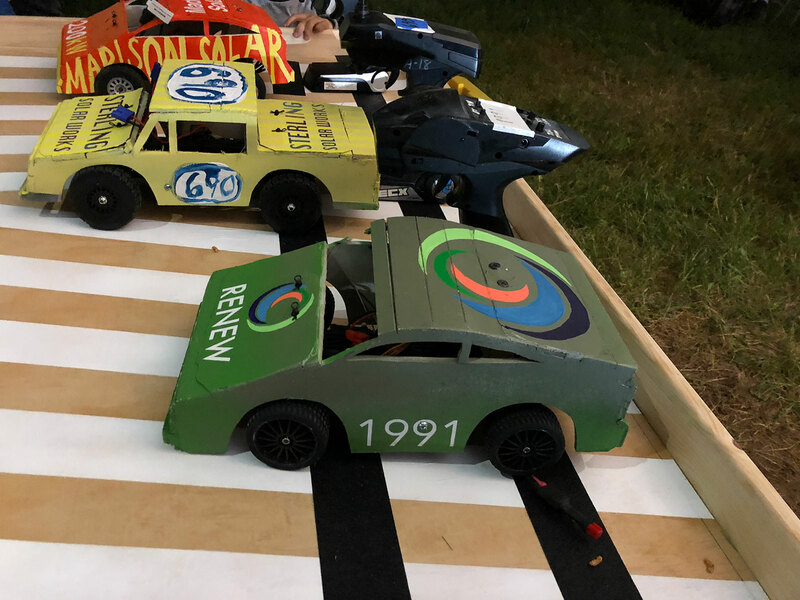 MILWAUKEE — HGA has acquired the Sustainable Engineering Group (SEG) in Madison, Wisconsin, a leading engineering firm focused on energy optimization and sustainable design. The acquisition reinforces and broadens HGA’s existing expertise in energy and infrastructure planning and design for leading national clients in healthcare, academic, corporate, and public sectors. Founded in 2004 by Manus McDevitt, PE, LEED AP, and Svein Morner, PE, PhD, LEED AP, Sustainable Engineering Group quickly established itself as a regional leader in energy systems modeling, commissioning, retro-commissioning, LEED certification, and advanced research, with specialized focus in geothermal systems, renewable energy systems, and carbon reduction/net zero campus planning. McDevitt has more than 25 years of experience in energy-efficient HVAC design and engineering systems. 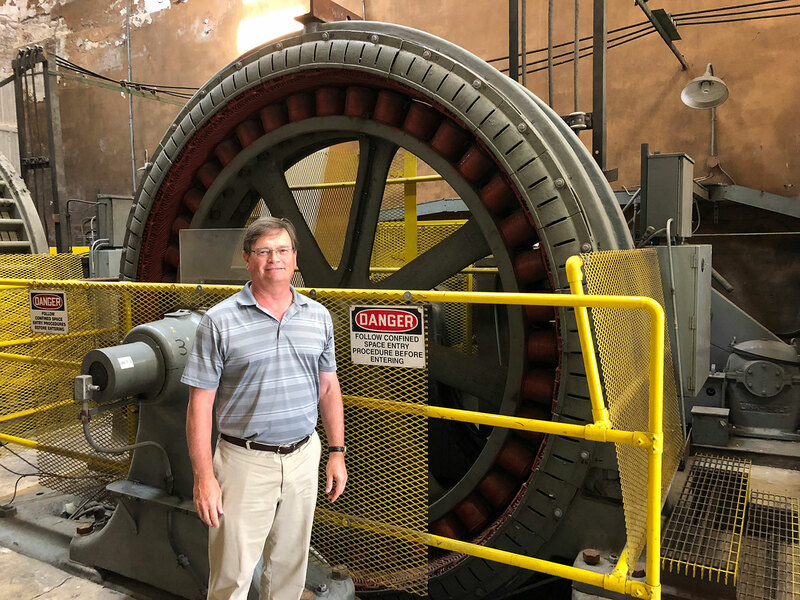 Morner has comparable tenure in mechanical engineering, with a research focus in thermal storage systems, energy self-sufficient buildings, fuel cell design, and solar panels. 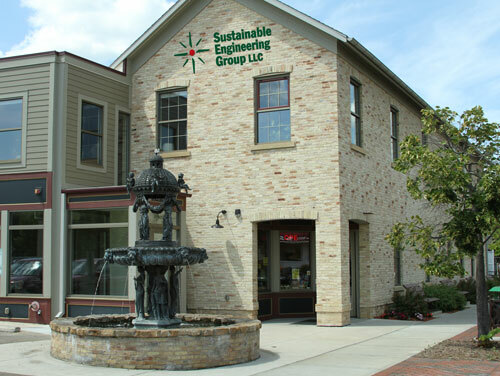 SEG’s 12-person team works out of an historic commercial building that has achieved net zero energy using strategies that include waste heat recovery, natural ventilation, a photovoltaic roof system, and real-time energy-use monitoring. The SEG acquisition is part of HGA’s strategic focus on elevating its national excellence in sustainable design and energy planning. With the addition of Lisa Matthiessen as National Sustainable Design Director in 2017, HGA is building new structures and deepening its expertise to explore new directions in planning healthy buildings that help create a more profound impact for clients and end users. The acquisition is effective July 1, 2018. SEG officially will change its name to HGA and merge operational and administrative functions. HGA is a national multi-disciplinary design firm rooted in architecture and engineering. Founded in 1953, we believe that enduring, impactful design results from deep insight into the people and passions that animate each unique environment. Our nine offices from coast to coast craft specialized teams to serve clients in education, arts, healthcare, corporate, government, community, and energy industries. Visit HGA.com or follow us on Facebook or Twitter.